Instructional Skills Cert III (TAFE), Radio Management Development Course & Associate Diploma Radio Marketing (FARB) Cert IV Workplace Training & Assessment, Mind Matters Institute Intensive Coach Training, Results Life Coaching System Improving Leadership & Performance Coaching, Coaching in the Workplace, & Exec Coaching Training, NLP Cert (AIM), Mindfulness, the Brain & Coaching (ICFA), Cert Executive & Organisational Coaching (IECL) - Levels I, II & III. Organisational Coaching (IELCL); Professional Credentialed Coach (PCC), with the International Coach Federation (ICF). 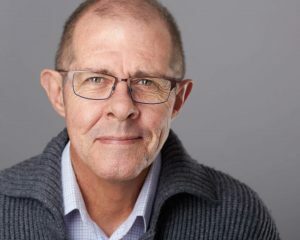 Marty Doyle joined Synergy Global in 2018 as a Change Facilitator & Executive Coach, based in QLD. He believes that you can’t fix a problem from the same mind-set that created it. That in this time of constant change we need to create a safe environment where people can get insights into different ways of leading their people for improved creativity, engagement & performance. As People Leaders we need to be able to adapt our style quickly to the situation & transform our working environment. Marty’s approach helps people get insights into how they can adjust their behaviour for the benefit of the team. He does this by helping them understand how they are seen by others, identifying what systems, culture & inner qualities are supportive for them to change & then identify ways to resolve areas of concern. Marty has extensive coaching experience in Adaptive Leadership & Team Coaching. He has worked with Executive GMs & Line/Team Managers. In Sales Coaching, Training & Mentoring over the last 12 years. With over 1000hrs of 1:1 coaching & many more coaching teams. He has been able to help client have insights into how they can improve their thinking, effectiveness, health & wellbeing - so they can meet the challenges of this fast paced & demanding business world. Marty worked in the media for over 35yrs as a Presenter & Manager. While working as an Advertising Manager, he identified that most leaders needed more than a great advertising campaign to save their business, they also needed to balance their personal & professional lives, so they could re-energise & have their business team working to their highest potential. He has worked with some of the biggest & some of the smallest companies across Australia. He recently joined the ICFA Professional Standards Committee & has been sourcing presenters & panellists for the ICF Queensland Chapter (Brisbane) Coach Conference in October 2018. Marty is passionate about helping people realise their full potential. He works with leaders to gain insights into improving their performance, thinking & wellbeing so they can meet the challenges of what is becoming an increasingly fast-paced & demanding world. He lives in Brisbane with his wife overlooking the Brisbane River & the city. They enjoy walking daily along the river - catching up with family/friends at Southbank.